Church Extension Plan, a financial ministry serving the Assemblies of God fellowship, wanted a long-term positioning strategy to show their scope of services, capture more investors, and provide loans to more churches. Assemblies of God fellowship, Christian investors. Although 65 years of financial ministry has helped more than 2,800 churches grow, Church Extension Plan is often confused with their primary competitor. The launch point for a new positioning strategy and integrated financial marketing program was an upcoming fellowship conference. The booth needed to be refreshed. A giveaway bag had been chosen to draw attention and booth traffic. Current literature was out of date and needed to be replaced. The goal was to create quick recognition of CEP’s positioning and their services, since many constituents didn’t realize CEP offered investments as well as church loans. Church Extension Plan’s range of financial services is extensive and often confusing. Pastors want to know about church loans and refinancing. Individuals might know about the investments or retirement accounts but not the loans or Will and Estate Planning services. We began with defining the points of choice where audiences already connect with Church Extension Plan. The financial marketing program included cohesive campaigns and communication tools to reflect the mission and purpose of the ministry, while resonating with all the target audiences. New communication tools built out the financial marketing program and brought fresh attention to CEP’s financial services. Each delivered quick-to-recognize details about investments, retirement accounts, church loans and refinancing. Direct mail to pastors and to investors before and after the conference, supported by email and landing pages, drove recipients to the booth and online for financial tools. Ads placed in General Council publications tied into the booth panels, and a simple roll-fold brochure was a low-cost, interactive handout. We also knew the best way to tell CEP’s story is in the word s of those they have helped. 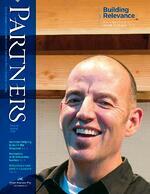 Partners magazine was created to profile investors and share real life stories of ministries helped by CEP. 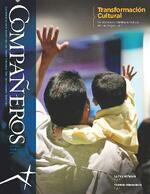 A spanish companion, Companeros, was also created. Both magazines continues as a foundation to CEP's positioning strategy. The magazine format is less formal and more interactive than a brochure. It is interesting and valuable to everyone from the “pew-sitter” to investors, pastors and district leadership. By bringing all of the services to life with testimonials and photos, one engaging publication lets every audience know what CEP has to offer. With helpful investment tips and guidelines for planning a will, as well as online budgeting tools, the magazine is a sharable resource for anyone who sees or reads it. At the conference, CEP received compliments and many new inquiries, primarily for investments. The financial tools on the website continue to generate traffic and overall web traffic continues to increase. Continued work with Church Extension Plan has transformed their marketing program and driven inquiries for both loans and investments to new heights. The positioning strategy we defined together is the foundation for this effective financial marketing program. Your positioning strategy guides your visual and verbal brand. Download our guidelines to identify your most effective positioning. I’ve been extremely impressed with how quickly you’ve been able to acclimate yourself to our culture, vision and priority points. You are doing this with focus and energy, and great teamwork. I’m truly excited to see the results (which I’m expecting to be great). They [Creative Company] have challenged themselves to climb within our mission statement and think from our point of view and the point of view of our clients. It has been exciting to see the creativity and freshness they have helped us maintain in our graphical presentations, our advertising, and our whole marketing thrust.